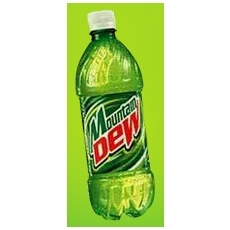 You can save Mountain Dew labels for free t-shirts or hoodies. One form per item ordered. My nephew LOVES Mountain Dew. He could drink two 2 liters of it a day if I didn’t keep them hidden. In removing the labels to save, I’ve found it is best to cut the label about 2 inches to the right of the UPS and start pulling away from it. They put their UPC right by the glue strip. I doubt they will be picky enough for that to matter, but it also keeps the edges neater, so they are easier to fold up and store. When I see good PDF forms like this, I always go ahead and save or print them. Sometimes they will take them down before their expiration date. Having a copy stored on your computer or a hardcopy helps ensure you won’t be caught without a bunch of labels, and no form. Some states do not even have to send labels -Details are on the form. Last updated Kristi Gilleland at June 20, 2011 .